You can cancel / change an order by calling IOMA Customer Service within 2 hours of confirming the order. IOMA has chosen to use the UPS shipping solution. We offer free shipping for any order value above USD99,00. Orders under that threshold will incur a delivery charge indicated at the time of validation of the Order. This solution is fully tracked and deliveries are taking between 48 hours and 96 hours to arrive, once the order is dispatched. Order processing time is one to two days. This can increase by one to 3 days during high traffic periods as Chrismas. We accept most of the existing Credit Cards versions: Visa, Mastercard, Maestro, American Express Diners, Discovery and JCB. We accept card-free payment solutions: Alipay - Paypal. With our payment solution provider Stripe, we offer the option to save your credit cards for future payments. When the "Save payment information to my account for future purchases" checkbox is selected, your credit card information is saved securely at Stripe. You can save several credit cards and manage them (add, delete, set default) in the following section My Payment Cards"
The credit card information is not stored at all on our server. Stripe is one of the world leader in online payment solutions PCI Security Standards Council approved. To offer maximum flexibility, we offer several online payment options provided by our leading partners in the field of online payments, implementing proven technologies for your and our security. Stripe - a worldwide deployed payment service solution providing highest standards in payment security including advanced fraud checking processes. In some occasions, you may be redirected to a 3D secure card check, allowing a double validation of your identity during the transaction. Stripe offers the option to save your credit cards for future payments. When the "Save payment information to my account for future purchases" checkbox is selected, your credit card information is saved securely at Stripe. You can save several credit cards and manage them (add, delete, set default) in the following section My Payment Cards"
You can make your payments directly through your PayPal or Alipay account on your smartphone, tablet and computer. You may be asked to pay customs or VAT charges if your order passes through your local customs office.INTUISKIN - IOMA will not refund these charges. Unfortunately, we have no control over these charges or the costs applicable as these vary from country to country. We recommend you contact your local customs office to find out more about any possible charges you may be required to pay. To find out what happens if you reject delivery because of customs charges please go to section "Return & Refund". What delivery methods and options are available? To give you a maximum traceability and shipping safety, we offer UPS Saver express delivery to the address of your choice. The standard shipping time is on average 48 hours to 96 hours. Processing time of your order is in gerneral 1 to 2 days. This can increase during one or 2 days at high traffic periods as Chrismas. Can I have deliveries made abroad? We deliver exclusively in all North, Cental and South America. If you are not satisfied with your purchase, you may notify us of your decision to return your product(s) by e-mail or in the post within 14 calendar days from the date of receipt of your order. To allow you to try the product before opening the package, for some products we provide you with an additional free sample. This offer is valid only for the first purchase of the same product. Download the return form at the bottom of the page, print it and send it completed by email or in the post to IOMA Customer Service within 14 days of receipt of your order. IOMA customer service will get in touch with you as soon as possible. It will tell you what to do and will assist in preparing the return of products. 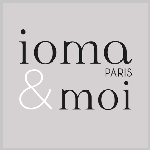 IOMA PARIS products cannot be exchanged. The package I received does not match my order. We suggest you immediately inform the IOMA Customer Service Department so that they can take the necessary steps to deal with you. We will refund by bank transfer to the account used when ordering, the price of the returned products, if already paid, within 14 (fourteen) days from the date IOMA received the returned products. Any return postage will be paid by INTUISKIN only if the product reimbursement is granted. Otherwise, any return postage will be at your expense. We do not accept returns, and will not issue a refund on products ordered from other e-commerce sites or in perfumeries. We reserve the right to recover our costs of delivery and returns for orders rejected due to customs charges.